We've been creating websites for over 16 years. We've seen their functionality change and grow - fashions and trends change. Technology develop from delivering websites over dial-up modems to needing sites to be responsive on a multitude of devices. So let us bring that knowledge and experience to your website. Whether you're looking for a new website or a revamp, let us develop your website for you. It doesn't matter if you're a small, boutique bed and breakfast in Queenstown or a manufacturing company in Auckland - talk to us, we can help. 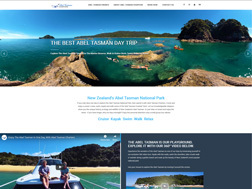 A new brochure website for Abel Tasman Charters to promote their Abel Tasman day trips and luxury boat charters. 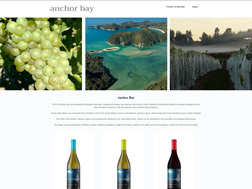 A brochure website to promote Anchor Bay Wines. Want to enjoy some delicious wines? 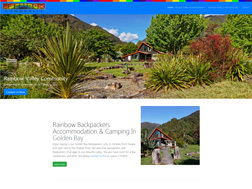 A new website for Rainbow Valley Community near Takaka in Golden Bay. 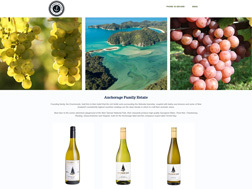 A brochure site to promote the range of wines from Anchorage. A new brochure website for Annick House, to refresh its look, adding a secure certificate and necessary documents to meet GDPR requirements. Looking for a Nelson B&B or apartment? 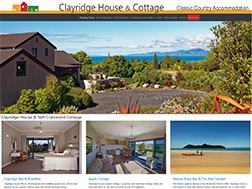 A new responsive website for Clayridge House to promote their bed and breakfast and cottage accommodation. Looking for Ruby Bay B&B or a holiday cottage? 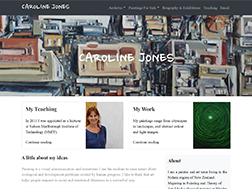 Caroline wanted a website to be her on-line gallery. She also promotes the art teaching that she does in Nelson. Looking for a painting or art tuition? 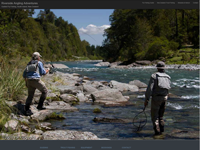 Guided Fly Fishing's website had served them well but a responsive one was required to meet Google's mobile standards. Looking for a fly fishing guide? 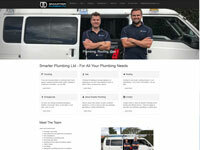 Smarter Plumbing needed a brochure website for their plumbing, specialised roofing and gas fitting business. Looking for an Auckland plumber or gas fitter? Using the design from their graphic designer we created their content managed website. It takes orders online from consumers and retailers too, handling multiple price tiers for multiple user groups. Looking for delicious nut & seed crackers? 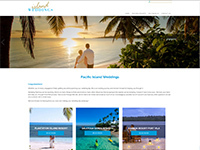 A content managed website showcasing different romantic resorts in different island locations, suitable for weddings or honeymoons. The filter allows users to select the country, type of resort, facilities, etc they want. Planning your wedding or honeymoon? Website revamp. Updated it to pass the Google mobile friendly and page speed tests. 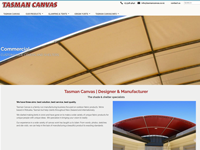 The new content managed website better accommodates the very wide range of products that Tasman Canvas designs & manufactures, right here in Motueka. 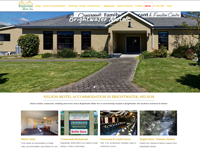 A new website for Brightwater Motels & Motor Inn, with new, large photos and a modern look. Added the new booking system for their motels, restaurant, bar, conference and events facilities. New, content managed, website. Lists accommodation, working dogs that they breed, and the articles that Joyce writes. 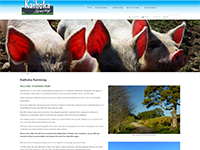 A multi tasking website for a diverse range of activities from Kaihoka Farm. A new, mobile friendly, brochure website to promote D'Urville Island Crossings barge transport business to d'Urville Island. They take people, bikes and cars for a day trip or to explore the island for longer. Enjoy a day trip or longer, take your car or bike to d'Urville Island. 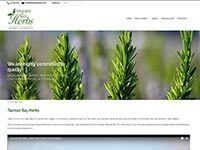 A new contemporary, content managed website so Tasman Bay Herbs can update their herb and salad ranges and their stockists' locations. Looking for delicious fresh culinary herbs and salads? Bruce's business had grown, so he needed a new content managed website that interfaces with his accounting and stock control system. It easily displays featured products & his extensive range of aluminium joinery. Clients can login and reorder through the site. 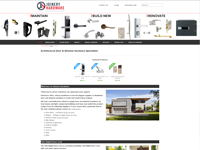 Building or renovating and need joinery hardware? A new content managed website to enable their large selection of pet products to be uploaded and kept up-to-date. Dog jumpers to pet mobility products. 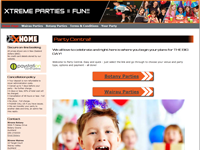 New custom developed on-line party booking platform. Automated the complexity of different party products, varying party durations, the food options for party-goers and parents, the facility constraints on the number of party-goers, staff and catering. Takes a deposit or full payment, and even calculates the amount of pizza required for the number of party goers. In-house staff can access varying levels of report to plan for the week ahead. 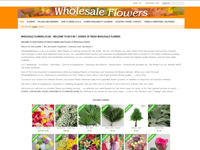 Wholesale Flowers wanted an e-commerce, content managed website using the fewest clicks possible for their customers to make their purchase. It makes the purchase quick and simple. Looking for wedding flowers or flowers for some other occasion? Dieter's website was 14 years old. 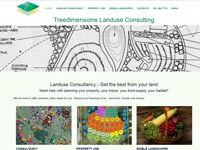 It had done a great job but it was time for a new, mobile friendly, content managed website for his landuse consultancy. Looking for a landuse consultant with expertise in permaculture? 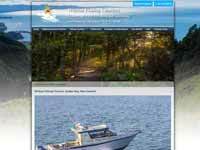 Bays Boating wanted a content managed, mobile friendly website so they could update their new and used boats and outboard motors for sale on the web. They also have some great local hints. Timezone Games corporate graphic designer supplied us with branding and we incorporated our content management system. They can keep their website up-to-date with their entertainment and client promotions. Looking for new games or party venues? Roger needed a content managed website so he could upload his stock of bedding and furniture. 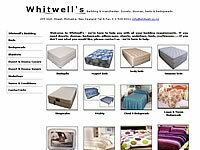 Looking for sheets, bedding or furniture? A new brochure website to promote Aquapackers unique floating backpackers in the Abel Tasman. Looking for Abel Tasman accommodation? 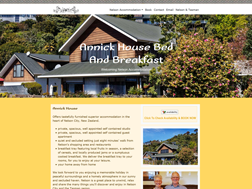 A brochure website for Avalon Manor Motels in Motueka promoting their motel units. A content managed website for Sue at Dog Almighty so she can managed class schedules. Looking for a dog walker or dog training? A new, content managed, website for Britannia so they can upload new products, descriptions and photos. Customer log ins are available too. A new, mobile friendly, brochure website to promote Equestrian Lodge Motels in Motueka. Looking for motel accommodation in Motueka? 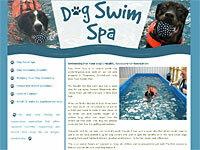 A website to promote the friendly dog swimming pool in Christchurch. Great for exercise or recuperation. Looking for a doggie swimming pool? 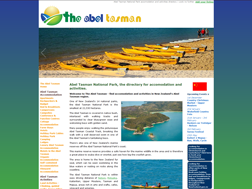 A directory of Abel Tasman activities and accommodation. Looking for Abel Tasman accommodation & activities? Birchwood School wanted a content managed website as their 'window to the world' for their school activities. Read about Birchwood School here. 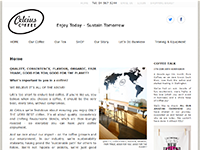 A content managed website so Celcius can upload their teas and coffees. Looking for organic, Fair Trade tea and coffee? 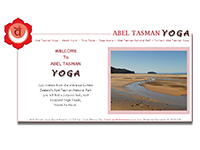 A brochure website to promote Abel Tasman Yoga's classes. Looking for yoga classes in Marahau and Kaiteriteri? A content managed website so they can list their industrial, construction, forestry and transport courses. 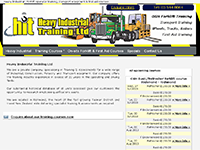 Looking for heavy industrial training? 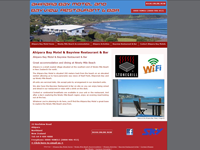 A brochure website for lovely motel accommodation in Ahipara Bay. Looking for Ahipara Bay Motels accommodation? A content managed website so Bush & Beyond can upload their guided walk timetables. Looking to walk the Heaphy Track or Kahurangi? A content managed website so Annie can upload the different parts and services. Looking for good used Mustang and American Ford parts? A brochure website for luxury bed & breakfast accommodation in Kaiteriteri. Looking for a luxury Kaiteriteri bed & breakfast accommodation? A brochure website to showcase the amazing hedges and gardens Just Small Hedges do. Need that hedge or garden tamed? 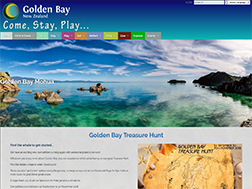 A content managed website so Golden Bay Visitors' Centre can list all their accommodation, activity, retail and cuisine members in Golden Bay. They can add competitions and local events too. 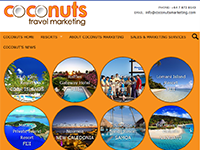 A content managed website so Coconuts Travel Marketing can market the beautiful resorts they manage. Does your hotel or resort need a new approach to your sales and marketing? 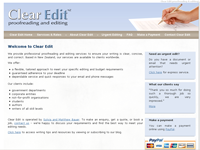 A content managed website to promote Clear Edit's services. Do you require proofreading, editing and formatting services? 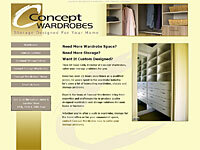 A brochure website for Concept Wardrobes in Nelson. Looking for the ideal wardrobe for your home? A content managed website to promote Wildcat's fishing and sightseeing tours and their motel accommodation in Golden Bay7. Looking for accommodation or a boat trip? 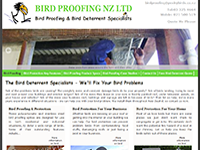 A brochure website to advertise the different solution for keeping birds out from where you don't want them. Need some humane bird deterrents? 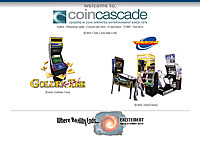 A content managed website for Coin Cascade to keep their entertainment stock and prizes up-to-date. Looking for coin operated entertainment?